I've played lacrosse for almost as long as I can remember. My love of lacrosse began in Second Grade when I started playing at the Little Laker Youth Lacrosse camp in Mountain Lakes/Boonton Township, New Jersey. Laker spring travel teams began in Third Grade. We've had a winter indoor lacrosse team since Fourth Grade and we started playing Box Lacrosse in 2015. During the summer, I've played for the Laker Futures, Patriot and Leading Edge Elite teams. I've played for Patriot and Leading Edge Elite Box Lacrosse Team during the winter and the Patriot Box league in the fall and winter, too. 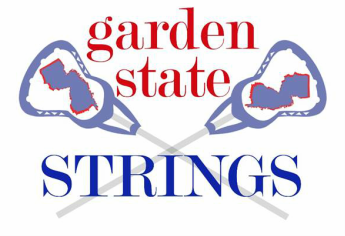 Why Try Garden State Strings? ﻿I started stringing my own heads over two years ago when I was unhappy with the stringing jobs that were done for me by large chains and lacrosse specialty stores. Based on feedback from my friends and friends of friends who I have strung heads for, my stringing is better than the "professionals." Many kids (and their parents) started coming to me after they received their “professionally” strung head. Although I cannot string traditional style (working on that! ), I excel in all other styles for all positions from attack to goalie. I get the job done quickly – faster than those other places. And before any head is returned to my customer, I fully test it and break it in to be sure it throws the way it should. Quality is my top priority. And I hear that kids are satisfied with their improved passing and shooting accuracy with my stringing jobs. Check out the photo gallery below for examples of my work. Thanks if you have read this far and I hope you can give Garden State Strings a try to support this important cause, Warrior Canine Connection. Its a win-win. And, if you don't have a head that needs stringing, please consider supporting Warrior Canine Connection and help a returning veteran by clicking http://warriorcanineconnection.org.